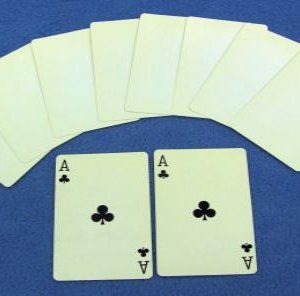 Performer shows six cards which are from ace to six, and explains, that these are samples sent to him from a gambling supply house. 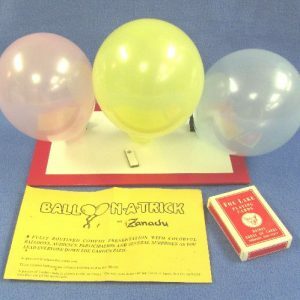 These cards, he goes on to say, are for near sighted card cheats because they are plainly marked on the back. 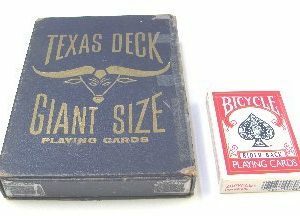 He turns over the ace and shows that it has number one on the back. In fact he shows all the cards having corresponding numbers on the reverse side. 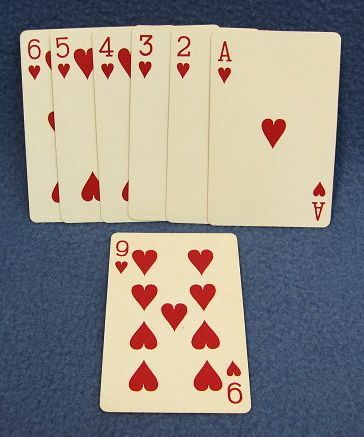 Displaying the six, he says: “There’s an odd thing about the number six, because when you turn it around it becomes a nine.” When you turn the face of the card to the audience it has actually become a nine when just a moment ago it was a six!